Stop planning your strength-training program based on weak intel. Building strength isn’t quite as simple as picking up something heavy and putting it down. And unfortunately, there’s plenty of misinformation out there that could be sabotaging your efforts to become the Atlas you know you can be. (Yes, Atlas. Adonis just looked the part—Atlas was the real deal.) Don’t let yourself fall victim to these 10 strength-training myths. Of course if you want to get stronger, you need to put up some decent loads that you’ll only be able to handle relatively few reps. But just going up, up, up, won’t work (work, work) if you’re goal is to get a lot stronger. 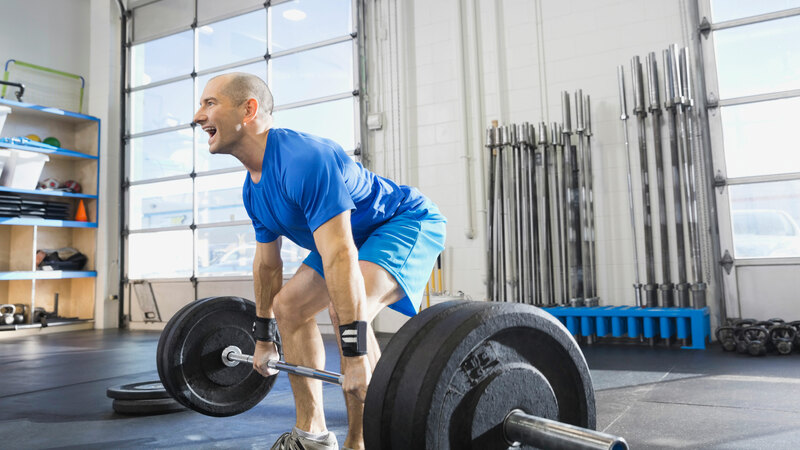 “Too much of the same exercise stimulus applied over an extended period of time leads to accommodation and plateaus—not more growth,” says Pete McCall, a San Diego-based strength coach and fitness educator. So include your heavy-lifting phase for six to 10 weeks every few months, but incorporate phases where you do bodyweight exercises, or drop your weight and increase reps. Voila, no plateau. Slow down there, hoss! Unless you’re powerlifting (which is a whole other discipline), taking your time through your lifts will ensure greater strength gains, thanks to something called “time under tension.” “You can’t build strength if you lift like you’re in a step aerobics class from the 80s,” Mentore says. “If your tempos are too quick, you miss your ability to accumulate tension in the muscle and reduce the effect of actually gaining any kind of strength.” If four to nine reps of your exercise falls between 20 and 40 seconds, you’re probably good. If you’d describe what you just did as “whipping through” a set, slow it down.